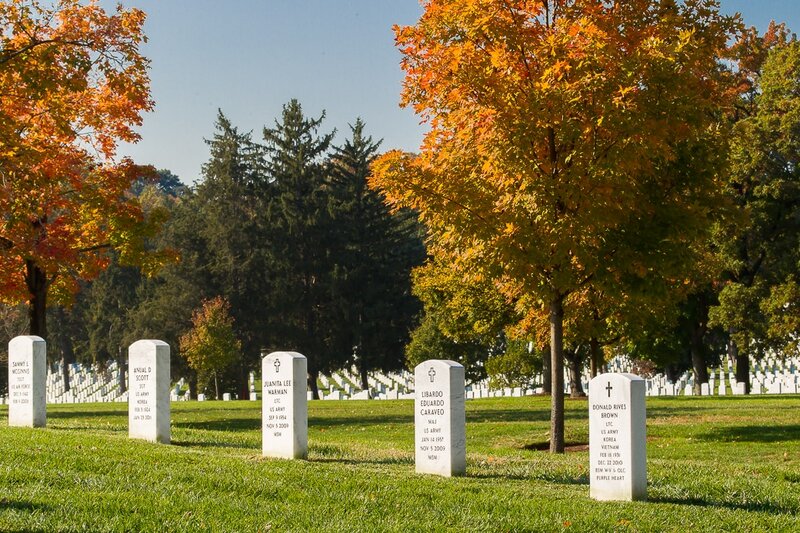 My task was to document the daily activity of the Caisson Platoon which carries the flag draped coffins of fallen US military to their final resting places in Arlington Cemetery. 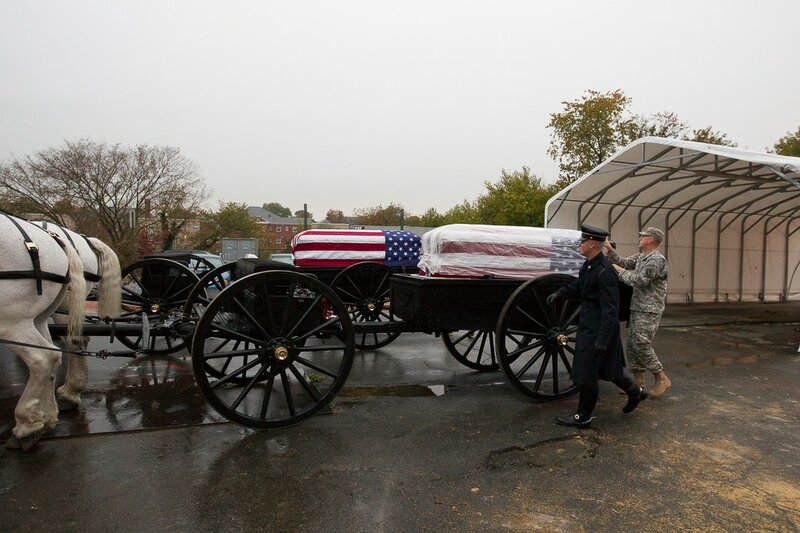 At 6am every day the soldiers of the 3rd United States Infantry, The Old Guard, begin preparing the horses and the caissons prior to the funeral processions. 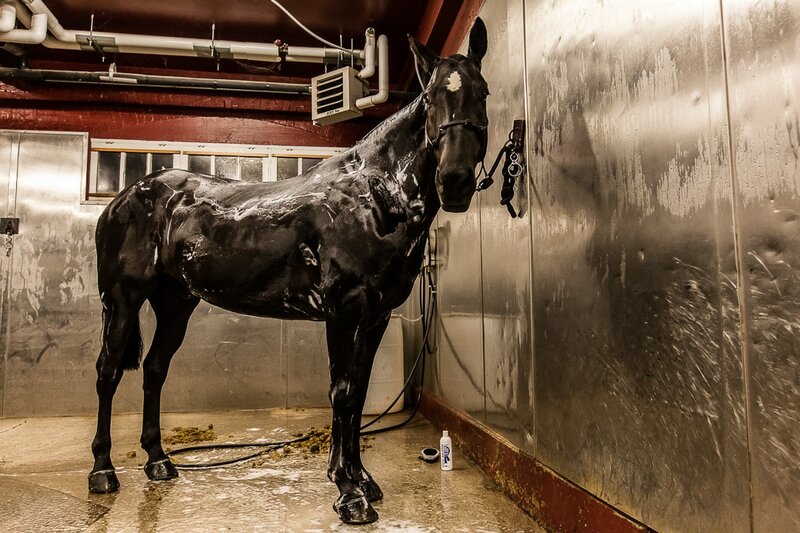 Every morning the Percheron draft horses of the Caisson Platoon are shampooed and groomed and their hooves are painted with black polish. The attention to detail is very precise and as a result the horses are immaculate. 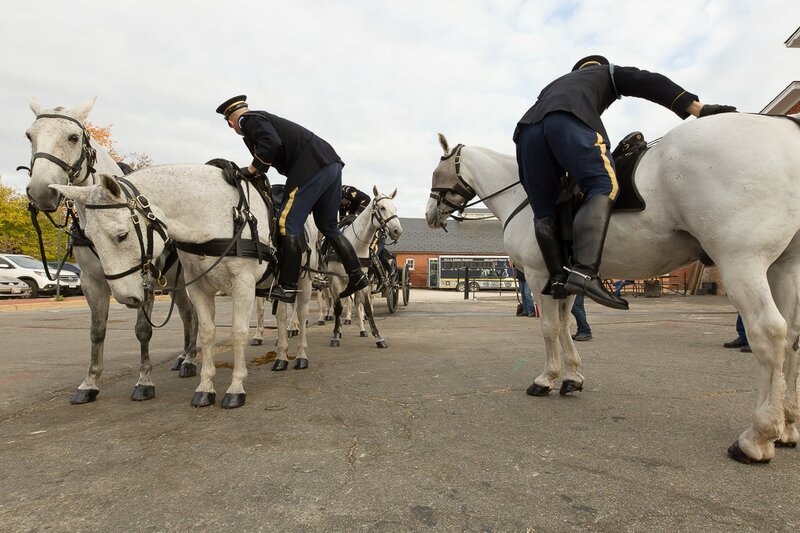 Even out of sight of the public and mourners the members of the Caisson Platoon perform their procedures with military precision. The sense of respect for their fallen comrades is strong. 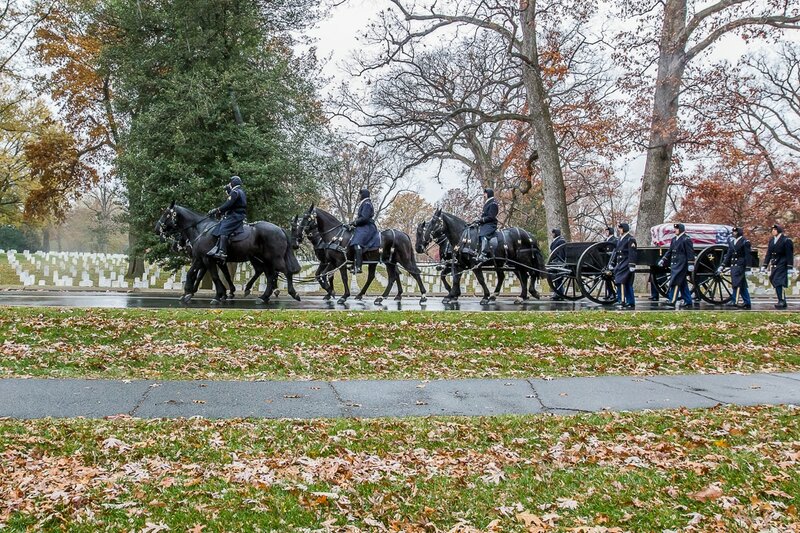 The Caisson Platoon leads a funeral procession at Arlington Cemetery. Horses that are no longer suitable for the Caisson Platoon are taken to the Caisson Platoon Equine Assisted Program. 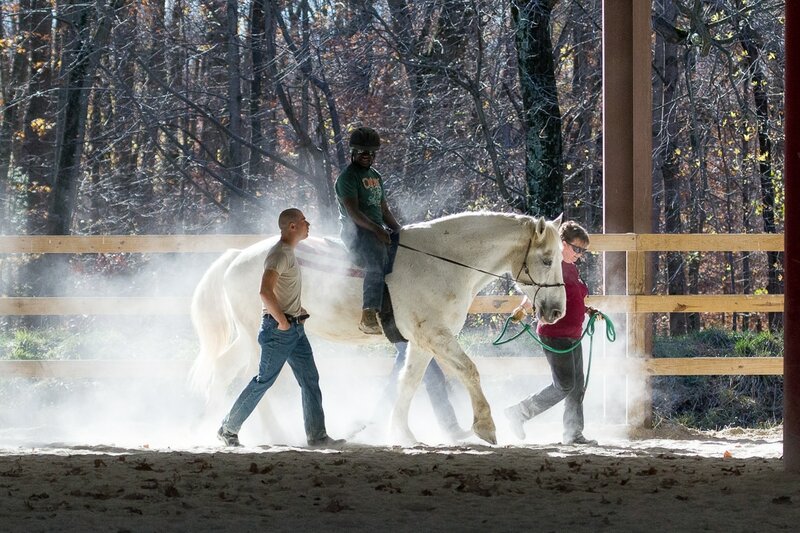 This volunteer programme is run by active duty soldiers from the Caisson Platoon and offers therapy for US military veterans who are wounded or suffering PTSD. The veterans care for and ride the horses. Here a wounded veteran rides a horse led by volunteers.